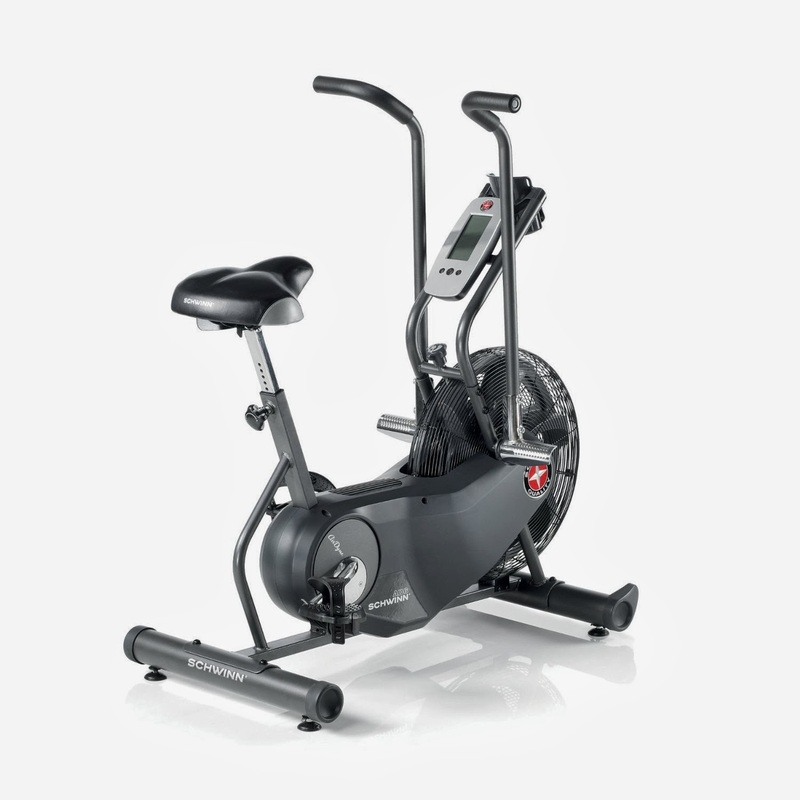 Health and Fitness Den: Comparing Schwinn AD Pro vs AD6 vs AD2 Airdyne Exercise Bikes, What's the Difference? Comparing Schwinn AD Pro vs AD6 vs AD2 Airdyne Exercise Bikes, What's the Difference? The AD Pro (also referred to as AD7), AD6 and AD2 belong to the iconic Schwinn brand range of Airdyne exercise bikes that utilize air/fan resistance for a unique total body cardio workout. The Schwinn Airdyne bikes synchronize arm and leg motions for an effective upper and lower body workout that is low impact on your joints. The air/wind resistance of these bikes effectively allows for unlimited resistance levels, working on the premise that the faster you pedal the harder the resistance will be. 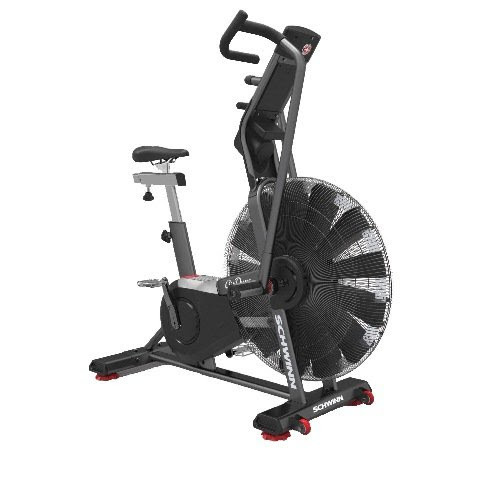 The Schwinn AD Pro (AD7) is the latest edition to the Airdyne range and is considered to be the top-of-the-line bike with more features and commercial-grade components built to withstand the rigors of high-intensity training. 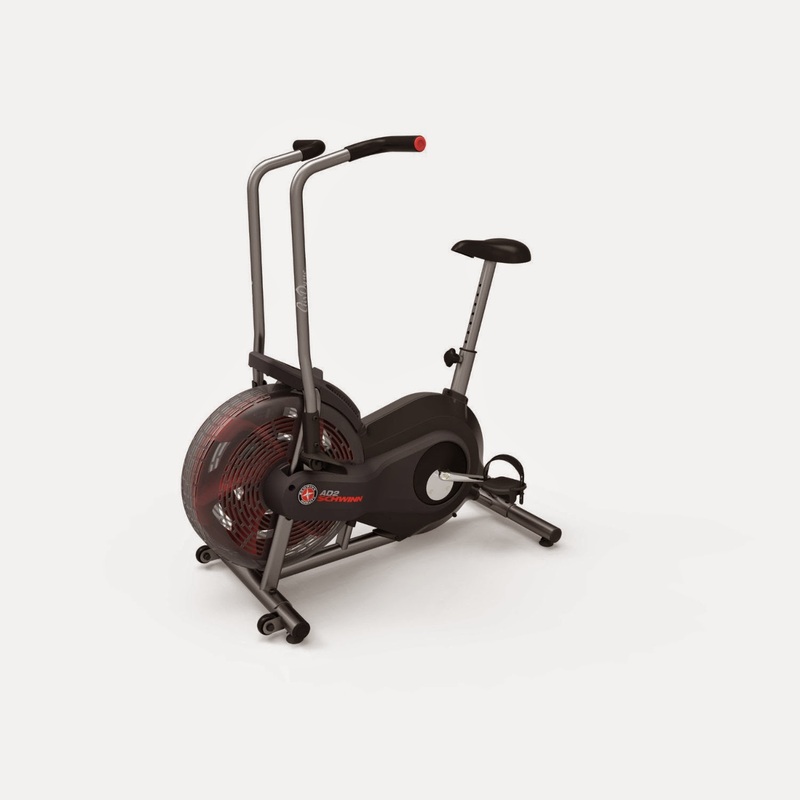 All the Schwinn Airdyne Bikes are well-built and offer excellent value for money. For light home use, the Schwinn AD2 would be more than adequate for most people’s needs. 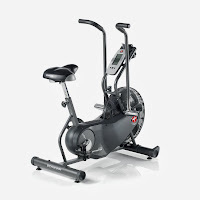 But if you’re likely to use the bike more often and like the idea of measuring your heart-rate as you exercise, then opt for the Schwinn AD6. The Schwinn AD6 is also better built with a higher user weight capacity and utilizes a dual-stage super torque belt instead of the AD2’s single belt. The improved quality of the Schwinn AD6 is reflected in the manufacturer’s better warranty over the AD2. If you’re likely to use the Schwinn Airdyne for heavier use or serious training and also like the idea of the program options for variety and challenge, then opt for the AD Pro. 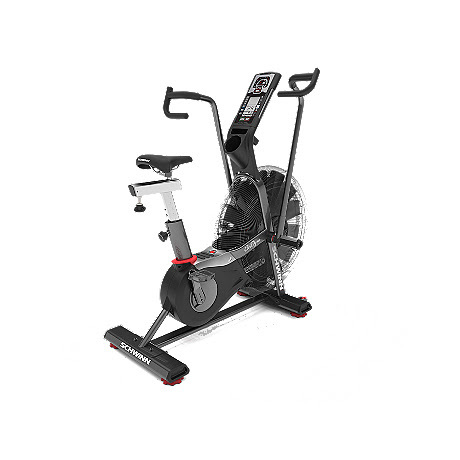 The Schwinn AD Pro is built with commercial components for intensive use and long-lasting durability, making it suitable for use in a commercial-gym or for the serious athlete at home. Not to be overlooked is the AD Pro's unique multi-position handles design and the 4-way adjustable seat for a custom fit. Comparing Assault AirBike Elite versus Assault AirBike Classic, What's the Difference?